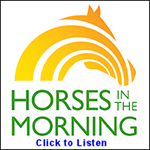 A Thoroughbred placement organization in Pennsylvania. Every Friday, Horse Nation teams up with Ovation Riding to spotlight an individual or organization doing good work in the horse world. 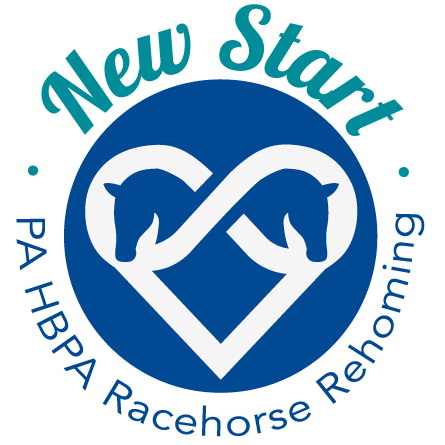 This week, we’re honoring New Start, the Thoroughbred ex-racehorse rehoming initiative of the Pennsylvania Horsemen’s Benevolent and Protective Association (PA HBPA). New Start operates through a network of foster farms around Pennsylvania, which take in horses retiring from Penn National Race Course in Grantville. Horses at foster farms receive any necessary rehabilitation, plus retraining to help launch their second career as competitive or recreational mounts. Horses are donated to New Start by their connections at Penn National. 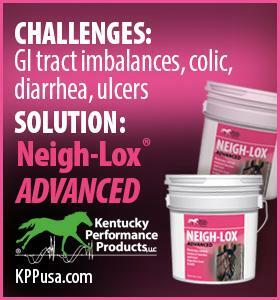 Horses must meet a certain set of requirements, including making the majority of their starts at Penn National. Horses are accepted regardless of physical condition, allowing New Start to appropriately rehabilitate injuries and give horses a second chance. In 2018, New Start rehomed 140 Thoroughbreds, representing 101 owners and 41 trainers. This upward trend from their 2017 numbers, in which the organization rehomed 97 horses, indicates a positive shift towards recognizing the need for aftercare and the responsibility of connections to find good homes for their retiring horses. New Start horses have won the barrel racing division at the Retired Racehorse Project’s Thoroughbred Makeover two years in a row: Miss Classy in 2018 with trainer Jade Wirick, and Not So Silver in 2017 with trainer Mindy Stoops. To learn more about New Start and look at available horses ready for their second careers, please visit the organization’s website and Facebook page.